Surrounded by beautiful landscaped garden, the 4-star De Vere Venues Theobalds Park, is just three miles from the Lee Valley White Water Centre and two minutes’ drive from the M25. This Georgian mansion house has free wifi, a modern restaurant and bar, fitness centre, and free parking is available. Modern rooms offer LCD TVs, coffee makers, hair-dryers, and free wifi to boot. 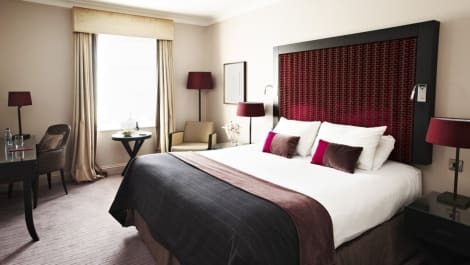 lastminute.com has a fantastic range of hotels in Waltham Cross, with everything from cheap hotels to luxurious five star accommodation available. We like to live up to our last minute name so remember you can book any one of our excellent Waltham Cross hotels up until midnight and stay the same night.